“Age of Oak” is the design that started it all. 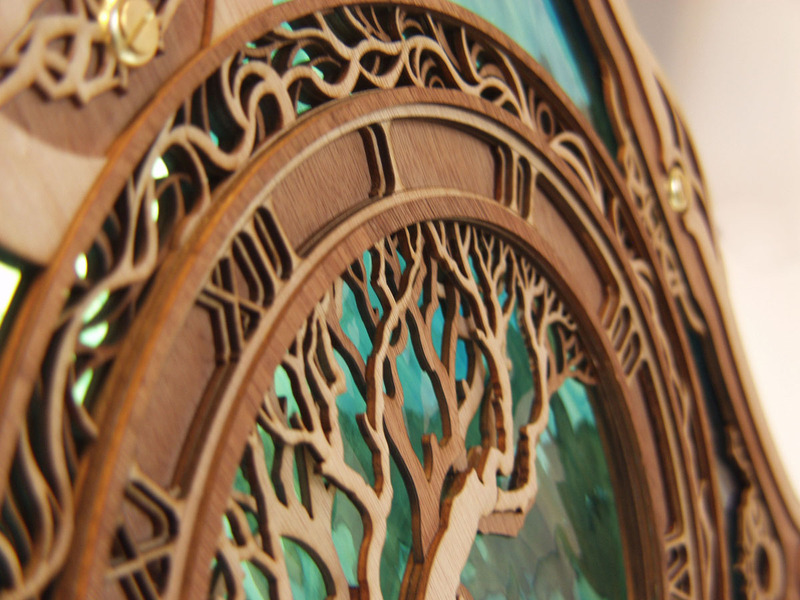 Originally conceived and produced for the artist’s grandfather on his 83rd birthday, “Age of Oak” is crafted from six layers of laser-cut wood with ornamental brass screws that envelope a sheet of stained glass. This beautiful piece is available in two sizes: the larger is approximately two feet wide, and the smaller has a width of just over one foot. Both versions can be displayed as freestanding art (with the addition of a wood stand specially designed for this piece), window art, or wall decor. Wood stain and glass selections are customizable, allowing “Age of Oak” to complement the color palette of your room. Wall-mounted and freestanding pieces can be fitted with LED rim lights, giving “Age of Oak” a radiant glow from within. Whether brightening a feature wall in your loved one’s family room, taking center stage on your mantelpiece, or capturing the sun’s rays through a picture window, this heirloom-quality piece will be treasured for decades to come. 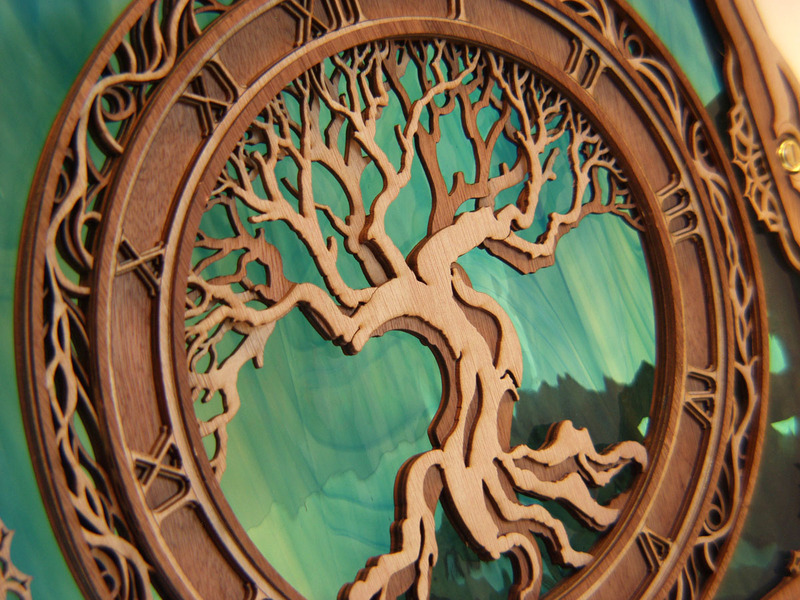 Delicate, hand-finished layers of laser-cut wood provide “Age of Oak” with unusual depth. The nuanced design balances the complexity of oak branches, Roman numerals, and vine-like borders with simple, open areas of gently rippled stained glass. 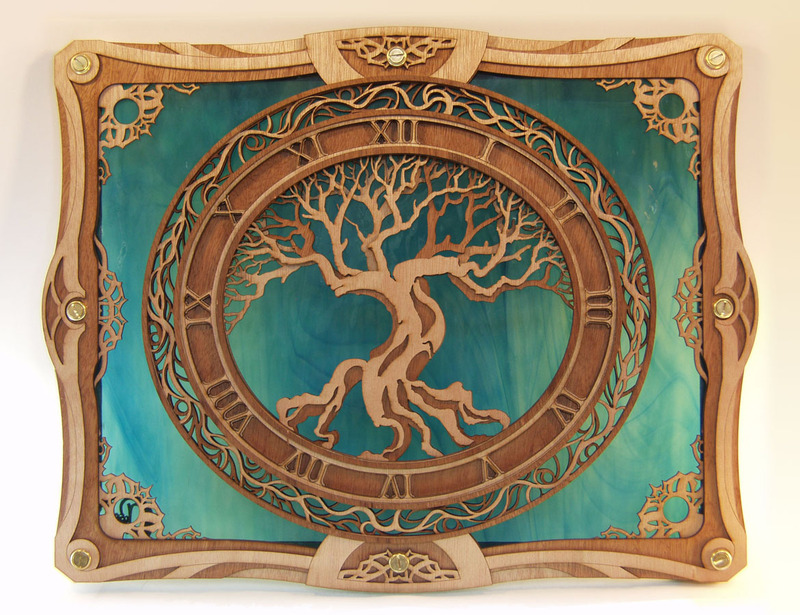 The imagery in this original design acknowledges tradition and the passage of time while celebrating family and the strength and wisdom that can only be achieved through a life well-lived. This versatile piece can be displayed in a home as custom wall, window, or freestanding art. A specially designed wooden stand integrates seamlessly into the “Age of Oak” frame for freestanding displays. 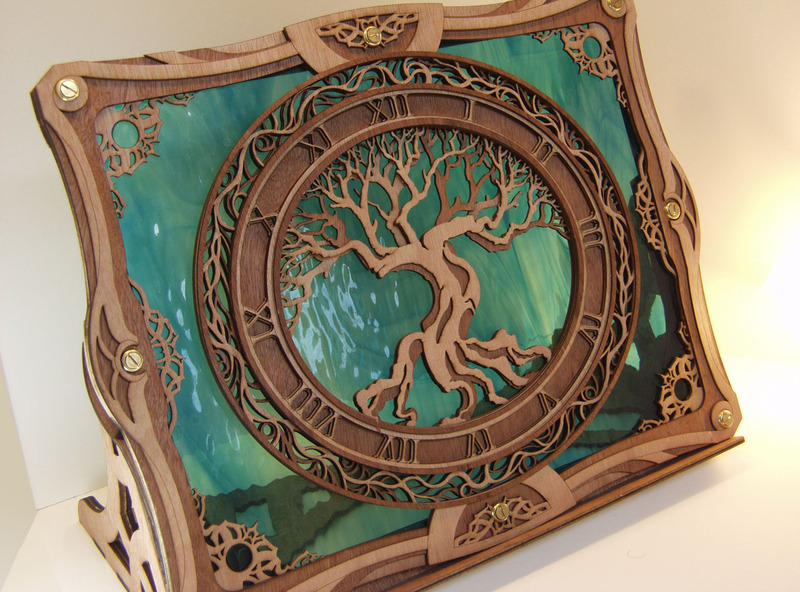 Future iterations of the design may include functioning brass clockworks, but stained glass selections will be limited to darker shades to conceal the timekeeping mechanism.